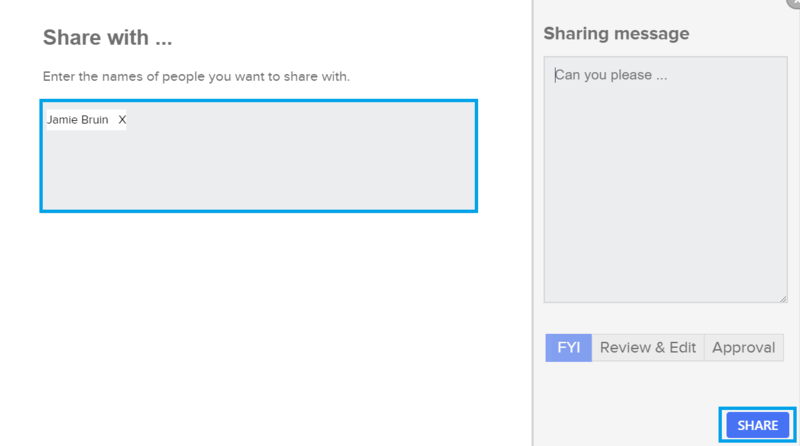 In the SuiteFiles web app you can share files with both internal and external users. An internal user is a user in your SuiteFiles site. An external user is someone who isn't a user in your SuiteFiles site and therefore doesn't have access to your site. The user's name will then have a white rectangle around it which represents this being an internal user. To share the file simply click the blue "SHARE" button at the bottom right of the window. The user's name will then have an orange rectangle around it which represents this being an external user. 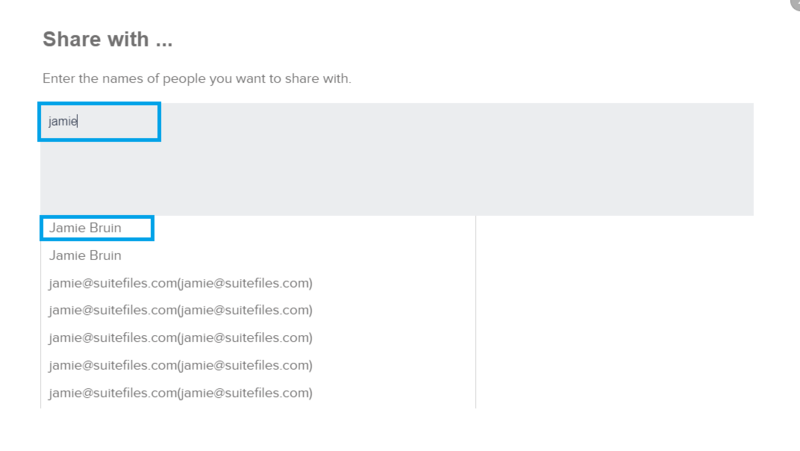 When a file is shared with an internal user they will receive an email notification and a notification in their SuiteFiles site which both have a link to the file in SuiteFiles. The shared file with also appear under the users "Tasks" tab. The user who shared the file can also see the file under their "Tasks" tab in the Sent filter. 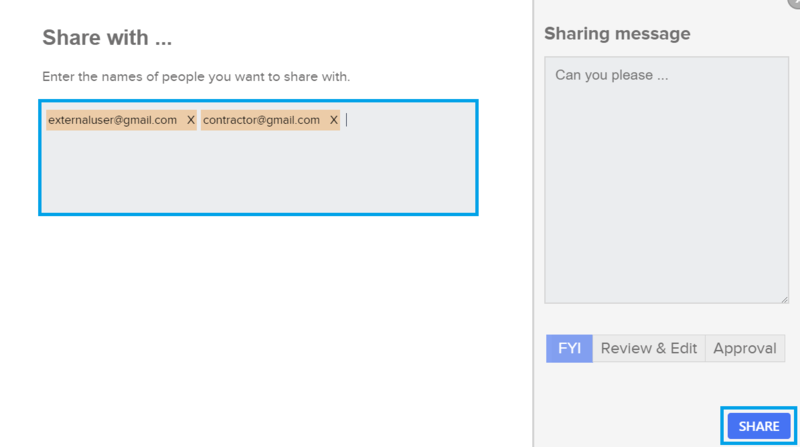 If the file is marked as done, the user who shared the file will receive a SuiteFiles and email notification letting them know the file's been updated. When a file is shared with an external user, the external user will receive an email which contains a link to download a COPY of the file. They do not have a link to the file in your SuiteFiles site and gain no access to your SuiteFiles site or any other files other than the one file shared with them.